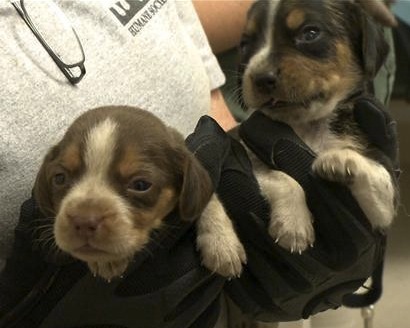 Missouri has been known as the puppy mill capitol of the US, but they’re working to change that. The Canine Cruelty Prevention Act was signed into law in April and has been used to seize 73 dogs (Cocker Spaniels, Labrador Retrievers, American Eskimos, Poodles, Beagles, Papillons & Brussels Griffons) from Linda Brisco of Monett, Missouri. She can’t legally operate a dog breeding facility for six years. Go Missouri! Awesome. I was wondering what had happened with this bill. Do you know where I can go or what to do to continue this battle against puppy mills in Missouri? Breeding for profit…..if there was never another puppy or kitten born again, there would be enough strays and rescues for everyone to have at least two or three pets….there are breed specific rescue groups, if you want something particular. But if people still feel the need to buy a dog, then the problem will never go away…. Previous PostPrevious Friday Fun: Kitten vs. TWO Scary Things!